Several key partners in Intel's "Ultrabook" initiative are limiting the initial shipment volumes of their responses to Apple's MacBook Air to below 50,000 units due to uncertain demand, a new report claims. DigiTimes named first-tier notebook vendors such as Acer, Lenovo, Toshiba and Asustek as "testing the water" with small initial shipments of new thin-and-light models, according to sources from the notebook makers. The vendors are scheduled to begin shipping their ultrabook models later this month. Meanwhile, Intel is hosting a conference for ultrabooks later on Sept. 14 in hopes of drumming up further support for the specification and resolving some "technology bottlenecks" that are getting in the way of the design. Unresolved issues over cost and technologies have given rise to a "conservative attitude" among the vendors, the report noted. 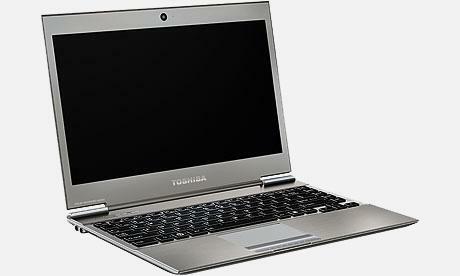 Intel introduced the ultrabook design specifications in May, taking cues from both the iPad and the MacBook Air. The new laptops are meant to incorporate "tablet-like features" with a "thin, light and elegant design" without compromising on computing power and performance, all while remaining in the sub-$1,000 price range. "Here the magic price seems to be $1,000, but it appears that the PC makers are really struggling to make this price point and still preserve a modicum of profit for themselves," said analyst Richard Windsor. "This is the major reason why we do not believe that the ultrabook segment is really going to take off until next year." PC makers have faced significant challenges in matching the features of the MacBook Air while competing on price. CEO Tim Cook is credited with fine-tuning Apple's supply chain, leveraging volume purchasing and pre-paying in cash to produce savings that rivals are unable to keep up with. For instance, Intel's ultrabook partners have reportedly been unable to secure necessary magnesium-aluminum components and production capacity for the chassis of their devices. Intel has responded by creating a reference bill of materials that theoretically shows the notebooks can be produced for as little as $475 and as high as $710. Vendors have called for a 50 percent price cut, but the chipmaker has agreed to only a 20 percent discount to its first-tier partners. The world's largest chipmaker has also backed the initiative with a $300 million ultrabook fund that will invest in companies working on solutions to challenges to the new notebook specification.